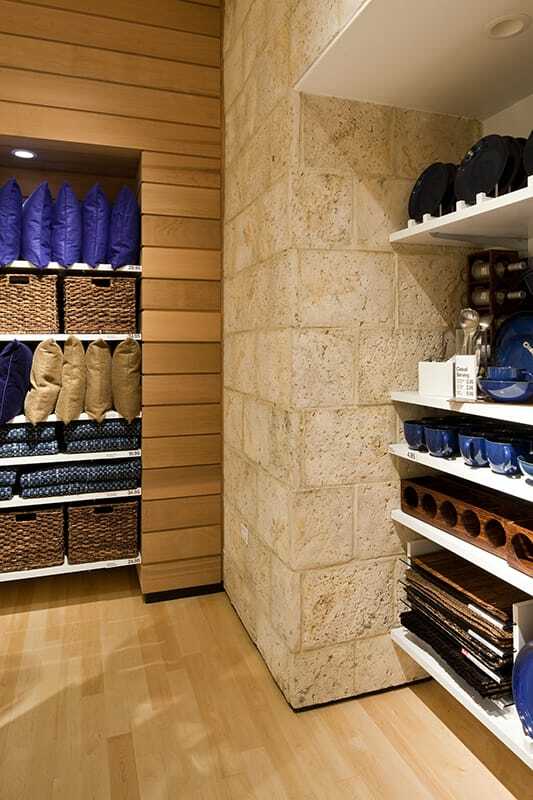 A positive customer experience was the driving force behind the construction of two new stores for this national retailer. 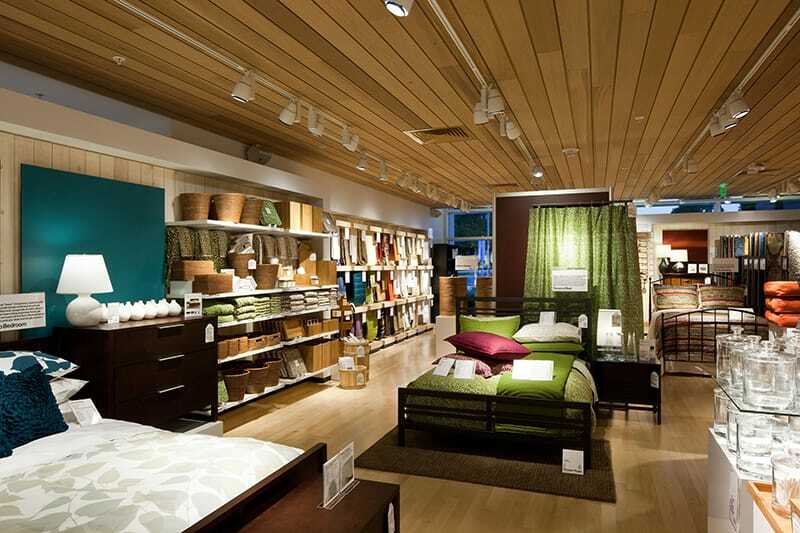 Gilbane was selected to provide construction management services for two new Crate&Barrel retail stores in Maryland. The projects posed several challenges, including working in operating retail malls, tight site constraints, and changing schedules. 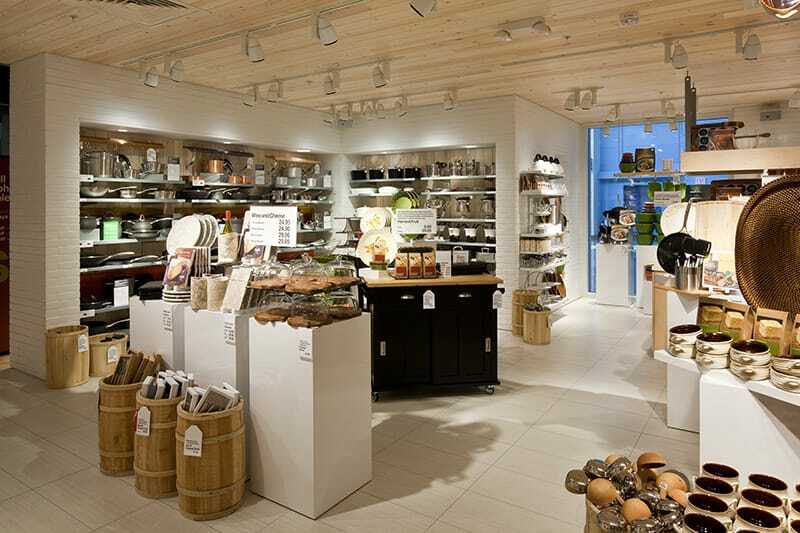 In addition, it was critical to Crate&Barrel’s brand that the interior aesthetics of the retail stores were of consistent quality to that of the retailer’s other stores. The Gilbane team worked closely with the landlord and contractors, keeping a close eye on the execution of high quality finishes throughout the stores, as well as the cost and schedule. Gilbane also made the decision to maintain the team’s continuity throughout both projects. This decision proved to be invaluable as lessons learned from the first project were easily rolled into the second. 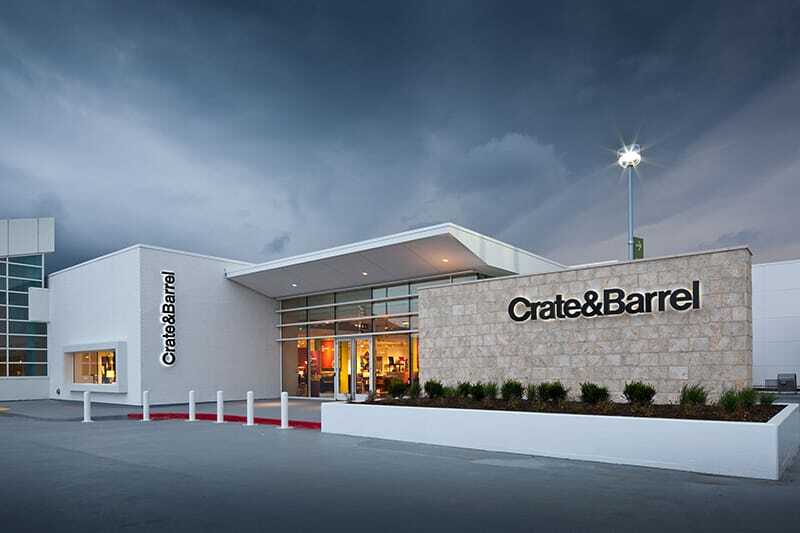 Both projects finished on time, under budget, and with a high level of quality that achieve end user demands and create a customer experience consistent with all of Crate&Barrel’s stores. The Gilbane team helped manage the schedule and cost by using high definition scanning to verify existing conditions before proceeding with construction and BIM technology for the coordination of mechanical and architectural finishes. Taking a step further to protect the client, Gilbane reviewed Crate&Barrel’s contractual agreement with the landlord to ensure the requirements of all parties were included in the scope of work.